How Do Headphones/Earbuds for Sleeping Help Us Fall Asleep? 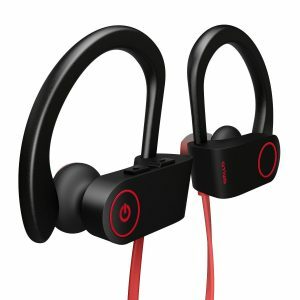 Headphones VS Earbuds – Which are Better? The main reason why we have decided to write about noise canceling headphones and earbuds for sleeping is insomnia that has overpowered many of us. We are constantly exposed to stress in every aspect of our lives and we have to deal with it every day. The problem is that we want or have to do everything and be successful at everything, but we just don’t have enough time. Because of that, we are constantly running from task to task, trying to complete them all. Many times, we actually succeed completing all of our tasks and we feel satisfied, but when we go to bed and try to relax, we just can’t fall asleep. That’s mostly because we are thinking about the tasks for the next day or it can be pilled stress that we have been suppressing all day long and it has finally come to us. Of course, there are many people that don’t have those kinds of problems. They just can’t fall asleep because of noisy family, neighbors, pets or because they live in a noisy street with a lot of traffic. The sounds annoy them and they can’t relax and have normal sleep. They need something to take them far from snoring partner, barking dogs, engine noise or neighbors partying late at night. For all of these problems, we have one simple yet effective solution – noise canceling headphones and earbuds for sleeping. We will present to you 6 best models of sleeping headphones as well as 6 best models of earbuds that can be used in bed. All of them are very small/thin and very comfortable. They won’t hurt your ear or head while sleeping and they will shut out most of ambient noise, so you can concentrate and relax. When you click on “Check Price” you will be redirected to Amazon.com. Headphones aren’t the only one, but they are the best way to make yourself fall asleep when it seems almost impossible. At least we consider them effective. We have decided to present to you 12 different models of headphones divided into two groups, mostly by their design. First, we have special headphones that are really flat and made especially for sleeping. Besides being flat, most of those models have the headband that keeps the earpieces on your ears during the night. Some of them are 2 products in 1 – they are not only headphones but also sleeping mask. These products are very soft and very comfortable. They are not perfect, of course, but they are definitely more comfortable than regular over-ear or on-ear headphones, especially when you have to lie on a side. The second group of products we are going to present to you are earbuds. They are not particularly made for sleeping but many people use them as they are very small and they don’t cause as much pain as other types of headphones do, even if you are a side sleeper. They can be really small, lightweight and there are so many wireless or even truly wireless earbuds that can be used for sleeping. However, that’s only if you don’t have too sensitive ears. If your ears can’t stand most of earbuds, our list of 6 best earbuds for sleeping is the right thing for you. We have chosen 6 smallest and most comfortable products that we could find on the market. All of our products block external noise, passively or actively, and that is probably one of the most important advantages of these headphones. They will block most of the noise around you, no matter if it is human voice, crying baby, barking, car engines, etc. You will be able to shut out all that annoying noise, relax and enjoy your favorite music, podcast, audiobook or any other audio content that helps you dive into the world of dreams and prepare your body and brain for the new day. People often discuss whether headphones are better than earbuds and if earbuds damage our hearing more than other types of headphones. When it comes to sleeping, things get more serious as you need something way more comfortable than usual. We assume that nobody really wants to wake up in the morning with severe pain in their head and ears caused by uncomfortable headphones that become even more uncomfortable when you include pillows and side sleeping in the equation. Headphones made for sleeping are specially designed to be used in bed. 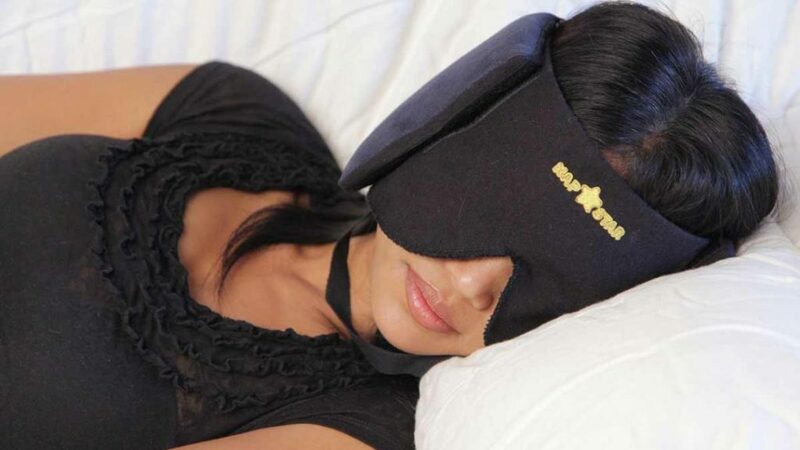 With or without the headband or eye mask, they are very flat and thin and they won’t put too much pressure on your ears when you lay down your head on your pillow. If you use some of these models, you will be able to sleep even on harder pillows. If they come with headband, you will be able to use them as workout headphones that stay on your head no matter if you’re walking or jogging. However, those kinds of headphones isolate less sound than earbuds and that is mostly because of their design. When the headband is included, it can make things a lot better, but we still consider earbuds more successful when it comes to noise isolation. Earbuds also sound better. They are inserted into your ear canal, which makes you feel like the sound is in your head and the seal that the earbud makes in your ear enables better sound isolation. Some of them also have active noise cancellation, which additionally helps you to completely isolate yourself from the outside world. However, they might be quite uncomfortable and the pillow should be softer than usual, as you will need it to adjust to the shape of your head so that the earbuds don’t stick too deep into your ears. All in all, it is basically the matter of personal taste. Some people prefer flat headphones, while the others prefer earbuds and don’t find them uncomfortable at all, especially if they are small enough and don’t stand out from your ear. CozyPhones are headphones wrapped in wide headband. These headphones are one of the most popular sleeping headphones on the market; they are more than affordable and many satisfied customers say that these are great sleeping headphones. 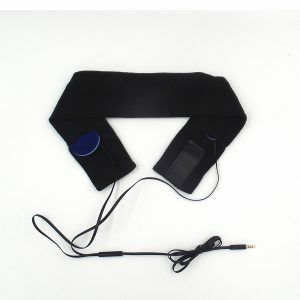 They are made from a removable and washable headband and two thin speakers connected with a long Y-shaped audio cable with universal 3.5mm connector. The headphones come in a simple package with one soft and thin textile travel bag and warranty card. CozyPhones aren’t as attractive as regular full-size headphones, but they are appealing enough and they come in several different colors, adequate for both men and women (black, blue, pink and white). The headband is made from lycra, it is soft and stretchy, which makes it easily adjustable even for the bigger heads. On the inside of the headband, you will find one small hole that is used to insert the speakers into the headband, which means their position can be changed according to the shape of your head. The speakers are really thin and well-padded and they shouldn’t put much pressure on your ears. You will definitely be able to feel them when you’re sleeping on your side, but they won’t cause any pain. The audio cable is very long and it can stay above the headband or go underneath it down your neck, depending on your taste. The whole package is very light (0.3 ounces) and the headphones are very comfortable. The important thing is that the speakers manage to stay in place no matter how much you move. 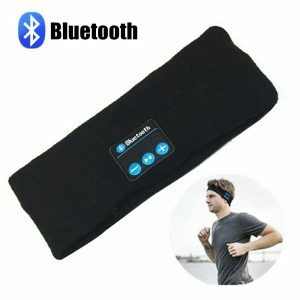 Because of that and because of the headband that can be used as a sweatband, you can take CozyPhones with you even when running or working out. They will deliver pleasant, not too loud sound and they will stay in place for hours. As expected, CozyPhones have some downsides. Although they shouldn’t be deal breaker, especially considering the price, we have to mention them so that you can be aware of the potential problems. These headphones come in one size only, which might be a problem for people with larger heads, in spite of all the stretchiness of the headband. They won’t cause severe pain, but they do feel a bit tight, especially after several hours of wearing. Also, lycra is not as pleasant as cotton, so expect sweating during summer. The audio cable is poorly built and if you aren’t careful enough, it may get damaged. In addition, we have to warn you about the fiber quality. The headband is prone to staining your pillows, especially if you sweat. That’s why it is advisable to wash it before use according to the instructions in the manual. We also have to warn you not to expect excellent sound quality, as these headphones are not made to be perfectly clear, loud or bassy. They are there to deliver decent sound and help you sleep better. Panasonic RP-HS46E-K are very affordable and very comfortable headphones that can be used in many different situations, not only for sleeping. The design allows them to be highly portable, so you can use them during workouts, runs or take them on a trip. Considering the price, we can’t really expect much more. The headphones come alone in a simple transparent plastic box. RP-HS46E-K are good looking headphones. Their design allows your ears to breathe. They don’t put much pressure on your ears and they are extremely light (1.5 ounces), but they still manage to stay stable on your ears no matter how active you are. We have to thank the clip-on design for such a stability. The hooks are made from very pleasant and flexible material. The hooks lock the earpieces to your ears without hurting them. The headphones come in white and black colors and the 1m long Y-shaped audio cable seems quite resistant in spite of being very thin. The cable ends with 3.5mm universal angled connector, and that kind of shape makes it more durable. Besides that, they have built-in small magnets that keep the earpieces together when you’re not using the headphones. Panasonic RP-HS46E-K headphones are proven to be very comfortable. Besides being very light, they are also less than 1cm thick and covered with soft foamy material, so they shouldn’t cause problems during sleeping, especially if you have adequate pillow. They manage to cover most of your ear and they leak almost no sound and block great amount of ambient noise at the same time. The sound, in general, is very pleasant and probably better than the sound of typical sleeping headphones with headbands. It is nothing special really, but they sound good no matter what genre you prefer and they also sound great when listening to podcasts or audiobooks. One of the things that we have to complain about is the lack of carrying bag. Also, we have to mention that we really don’t like the glossy finish on the front side of the earpieces. Some might find it attractive, but we think it only attracts fingerprints. In addition, we have to warn you that the sound quality is not perfect. They are decent but don’t expect any punchy bass, extremely clear vocals, etc. In a room, they isolate external sounds nice, but if you take them out of the house, you can be sure that you will be able to hear everything that is happening around you. Here we have two versions of the same headphones, SleepPhones or, as some call them, pajamas for your ears. These two models practically offer the same quality in all departments, while the only difference is the design as one version is wired while the other is wireless (and the price, of course). That’s why we have decided to present them as one product highlighting their differences along the way. Both models come alone in the package without any additional accessories. These headphones consist of soft and comfortable headband, made from fleece or polyester, that hides two speakers inside. The speakers are removable and the headband is washable, which is really great. You get to choose between 5 colors (pink, lavender, blue, grey and black) but also between 3 sizes (XS, M, and XL). The speakers are very thin and the headphones are very light, so if you choose the right size, you shouldn’t feel any tightness, pressure or pain. 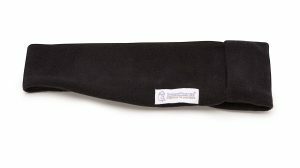 They are covered with layers of fleece providing extra comfort and softness, ensuring a great sleep even for side sleepers. The wired model has 48-inch long audio cable with 3.5mm universal straight connector. The wireless version has powerful battery that has to be charged for 3 hours, but after that, it can last up to 13h if you listen to audio content on low volume. The control pad contains 3 buttons that enable you to control the volume and switch on/off the headphones. They also have battery status indicator on the module that helps you realize if you have to charge the headphones or they are fully charged (red light is on during charging). When it comes to sound quality, we were very satisfied with both versions. The sound is decent for the type of headphones, the wireless version has 30-feet signal range and they manage to isolate great amount of ambient noise. First of all, considering the price, we think the manufacturer should send at least a carrying bag as even the price of the wired version is not low. We don’t think that Bluetooth technology is not such a rare feature today that a pair of wireless headphones with only average performance should cost this much. Second of all, we advise you to carefully go through the dimensions of the headbands as many customers had problems with too small or too large headband, causing pain or annoying allocation of the speakers during the night. Last of all, don’t expect perfectly clear sound. The headphones work nicely with all kinds of devices, but they don’t offer high-end sound or perfect sound isolation. One more wireless product is on our list. The speakers are built into the headband/hat/cap and they are completely wireless and easily pairable with all kinds of Bluetooth enabled devices. The fact that this manufacturer makes also hats and caps, enables you to keep your head warm during winter and still have a lot of fun. This makes their products suitable not only for sleeping but also for working out, traveling or doing house chores. The headphones come with a USB charging cable and user manual. These headphones have nice design and they are available in black and grey colors. The material the headband is made from is very soft and stretchy and it should fit most buyers. 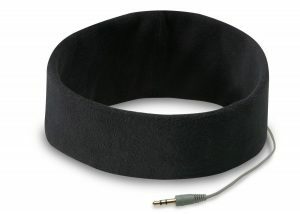 Inside the headband, you will see removable Bluetooth module with two relatively thin speakers. 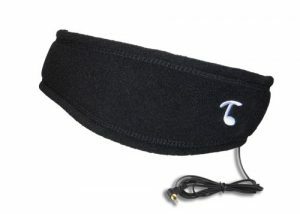 The headband is washable, which is great because the material can cause a lot of sweating during night. If used for workouts, it can absorb sweat, which is one more reason to wash it. The headphones use Bluetooth 4.1 technology, signal range goes up to 33 feet, which should be enough for sleeping and some other activities. The control pad is on the front side of the headband and it allows you to control the volume, turn on/off the headphones and play/pause the music. These headphones also have built-in mic, which enables hands-free calls in any situation. What we didn’t expect is that the sound quality will be so good, especially at this price point. The sound is clear and pleasant and the speakers can get very loud if you need them to. They also isolate most of background noises, mostly because of the design itself. All in all, the sound quality is more than satisfying and more than enough for listening to some relaxing music or audio book while falling asleep. The biggest flaw of LC-dolida Bluetooth headphones is the fact that the headband is made in one size only, which makes it probably useless for people with larger heads. Also, the speakers can’t be repositioned so it is possible that some people will have difficulties finding the right position in order to hear everything nicely and maintain necessary comfort level. Tooks Sportec are headphones made not only for sleeping but also for many other everyday activities that involve listening to audio content and require secure fit on user’s head. They consist of the headband and removable speakers connected with 56-inch cord. These headphones come alone without any following accessories. Tooks Sportec Headphones are very durable headphones excellent for people having trouble falling asleep. They have nice design and they are available in white, pink and black colors. The headband is made from microfleece which can be very warm during cold winter days and nights and it is also completely washable. The speakers are quite thin and although they are made from plastic, they feel very comfortable even if you sleep on a side. They are connected with relatively long rubberized audio cable with L-shaped 3.5mm universal connector. The position of the speakers is not fixed, so it can be adjusted depending on the shape and size of your head. Also, the headphones are very light (they weigh only 4 ounces) so they shouldn’t feel any tightness or pain if the size of the headband matches the size of your head. Tooks Sportec headphones deliver quite a pleasant sound, especially if you consider the price. It is not perfect, but it will be good enough for the needs of sleeping or working out. The noise isolation is also quite good, but if used outside, you will be able to hear most of background noises. One of the things we don’t like about these headphones is the size of the headband. It is universal and our heads are all shaped differently. We also have to warn you about the speakers. They do feel quite comfortable, but as they are a bit bumpy and completely plastic, some customers didn’t like them. They claimed that the speakers are too stiff and that they hurt their ears and cause pain, but of course, it all depends on the personal preferences. Firik has made these nice cozy headphones with very attractive price to make your sleeping time more pleasant. They are budget-friendly and efficient choice. Despite low price, these headphones come in attractive metal box. However, the box doesn’t contain anything but headphones. The headphones have simple design and they come in black and violet colors. The color refers to the headband that also can be used as an eye mask. 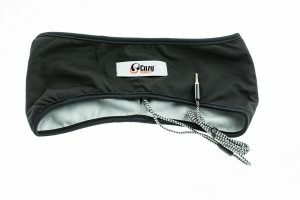 Inside the headband, there are removable speakers with 1.5m long audio cable with universal 3.5mm connector. It also has inline mic and control pad that allows you to control the volume. After the speakers are removed, you can normally hand-wash the headband. One more benefit of removable speakers is the fact that they can be repositioned and adjusted according to the shape of your head. The headphones are very light (1.76 ounces) and they lay nicely on ears. Thin speakers won’t cause any discomfort even if you sleep on a side. Besides that, the headband’s size is adjustable as the adhesive tape is on its ends. Also, the headband is made from very soft and pleasant fleece that can be very useful during cold winter days and can be also used as a sweatband if the headphones are used for sports. Firik sleeping headphones sound nicely considering the price range and the purpose. They offer pleasant sound and they manage to isolate great amount of annoying background sounds. One of the downsides you should be aware of is the audio cable. It is very thin and braided. It is also prone to tangling and damaging, so you will have to be very careful with it. Before using it, wash the headband once. In the opposite, it could stain your sheets, especially if you have problems with sweating. One more warning – fleece can heat your head a lot and it is not recommended to use it during summer. And now let’s see what are the best earbuds that are comfortable enough to go to bed with. There are 6 of them, some of them are cheap while the others are quite expensive, but all of them are very small and comfortable and they deliver very good sound. The first product on our list is one of the best not only on our list but also on the market. It is one of the most expensive, too. However, considering everything it offers, we think they are worth buying in case you have that kind of money. 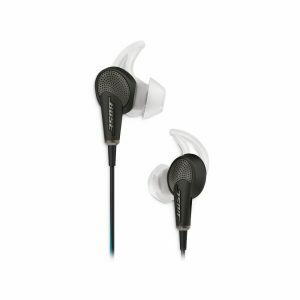 Bose QC 20 come with sturdy zippered carrying case, USB charging cable, user manual and two spare pairs of ear tips in different sizes. These headphones have very attractive design. They come in black and white colors and they look rather comfortable and sporty. The ear tips have very soft and flexible wings that provide extra stability in your ears. The cable is quite long (132 cm) and it has universal 3.5mm L-shaped connector. On the cable, there are control pad with three buttons and inline mic and noise cancellation regulator that enables you to turn ANC on and off. The battery inside the regulator is needed in order for ANC to work. Once charged (after 2 hours), it allows you to listen to music for 16 hours completely isolated from the outside noise. Bose QC 20 are made from quality plastic and the cable is also very durable, especially because it is rubberized and tangle free. The earbuds are quite light and highly portable, so you can use them for all daily activities as well. Besides being very durable, comfortable and stable, the earbuds offer excellent sound quality with excellent ANC. They snug nicely in your ears isolating you from all the annoying noises and leaving you alone with very clear, balanced sound with punchy bass. Truth to be told, we don’t see many downsides of these earbuds. The only problem is they are wired and they are definitely not as comfortable as some sleeping headphones with thin speakers. The cable can wrap around you during the night and the buds can stick deep into your ear canal which can be a bit unpleasant. 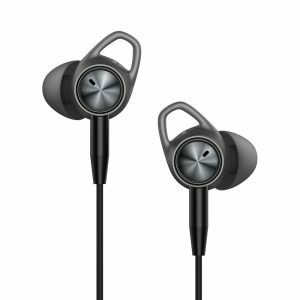 Sure SE215-K are quite expensive but also very good earbuds predicted for professional monitoring as well as everyday casual use. Great sound and build quality, efficient sound isolating technology, small weight and comfort they provide make these earbuds one of the best choices not only for sleeping but also for all daily activities. SE215-K come with 6 pairs of ear tips made from different materials and in different sizes. The manufacturer also sends you user manual and zippered sturdy carrying case. One of the best things about these earbuds is their design. They have angled earpieces and detachable Y-shaped audio cable with L-shaped 3.5mm gold-plated connector. Also, they are available in black, white, blue and clear versions and all of them look rather interesting and unusual. The great thing is that the cable is detachable, but well-built and reinforced, especially on joints. The earpieces are quite movable but it is really difficult to pull the cable out, which ensures better connection and protects the joints and cables from sudden pulling out. The earbuds are quite lightweight and the ergonomic design also helps customers to achieve the best fit. If you add 6 pairs of different ear tips that are shaped and sized differently, you realize that Sure has made great effort to create a good pair of earbuds. The angled design enables the earpieces to snug nicely into your ear canal and seal it well so that almost no ambient noise can be heard, which makes these earbuds adequate for bedroom, for commuting, working out, etc. As far as sound quality is concerned, we have to say that these earbuds sound just like the manufacturer claims – warm and detailed. The sound is quite pleasant and adequate for both professional and casual use. One of the things we don’t like about SE215-K are the ear tips. They are comfortable and they do provide excellent isolation, but some customers claim that they are hardly removed and if removed, they lose their ability to isolate noise. Also, we would like to mention the lack of control pad and some kind of mic – earbuds that cost this much should have at least that. Last of all, we would like the sound to be more energetic and a bit more interesting and exciting. Maxrock EL-273707 are very small and extremely light earbuds (0.3 ounces). If there were no cables, nobody would notice them in your ears. That kind of design is what makes them perfect for sleeping as there is practically no chance they will hurt your ears during the night. They are also very cheap and they deliver quite a good sound. We think you will be very pleased with them. The earbuds come in a simple package and the only thing you will get besides the earbuds is one silicone carrying case. Maxrock EL-273707 are nice-looking earbuds that come in several different colors (black, white, grey, pink and green). They have 5mm drivers that are entirely covered with soft silicone ear tips. The audio cable is quite long (120 cm) and it has 3.5mm universal connector. Control pad with inline mic is on the cable, so if you use the earbuds outside your house, you will be able to answer all your calls and control the audio content hands-free (play/pause, answer/end calls, even skipping tracks if the earbuds are connected to Apple device). Customers confirm that these earbuds are very durable considering the price. The ear tips are very comfortable and they snug nicely into your ear canal. They are also made from antibacterial silicone that protects you from all kinds of ear infections. EL-273707 sound quite good for the price. It is only average, but they sound nice no matter what genre you are listening to. Audiobooks and podcasts also sound decent on these earbuds. The good thing is that they manage to isolate great amount of ambient noise. On the negative side, EL-273707 there is an ear tip size issue. They come in only one size and you can’t buy spare tips in different sizes. Sadly, people have different ears and these might not fit all of them. There were many complaints that the earbuds feel too small or too big. There were also some cases of tips falling of the speakers. TaoTronics earbuds aren’t as good as Bose QC 20, but they are very comfortable, small and lightweight. They also use active noise canceling technology that works nicely and you get all these things for much smaller amount of money than the amount you have to spend on QC20. The earbuds come safely tucked into protective foam. Besides the earbuds, you will get user manual, airplane adapter, short USB charging cable, soft carrying bag and many spare ear tips in different sizes. There are also 2 spare pairs of ear hooks that you can use if you need extra stability and more secure fit. TaoTronics TT-EP002 are affordable and good-looking earbuds with all-black design and matte finish. They have long Y-shaped audio cable with inline mic, control pad with three buttons (for volume control, playing or pausing music, answering or ending calls) and noise canceling regulator. The ANC regulator might seem problematic, but it is thin and lightweight, so it can easily fit in your pocket in case you want to use earbuds outside the house for sports or any other activity. ANC can be turned on and off depending on the situation and your preferences. These earbuds are quite durable and that’s no wonder considering the fact that the housings are made from aluminum. The audio cable is also well-built so you shouldn’t have major issues if you don’t expose it to severe usage. They are also very comfortable. The earbuds weigh only 0.8 ounces, the tips are very soft and they make good seal preventing ambient noise from penetrating and annoying you. If the original tips don’t fit your ears, you can always try to put on another size or even foam tips that are generally more comfortable and easily adjustable to the shape of your ears. When it comes to sound quality, TT-EP002 deliver very nice and pleasant sound, at least for casual usage. If you take into consideration that they can isolate up to 25dB, they don’t seem s bad at all. If you add ANC, they become even more attractive. The only thing we have to criticize is the mudded sound. Even though they produce decent sound, we have to warn you that the bass is a bit mudded and more emphasized than it should be, at least in our opinion. It is also not perfectly clear nor detailed, but considering the price, you can’t really expect to get it all. Senzer S10 are one of the smallest earbuds on the market. They are so small (9.8 mm) that other people probably won’t notice you are wearing them as they don’t stand out from your ears and the audio cable can go behind your ears and head. They are a great choice for sleeping because of the small weight. The earbuds come in a black elegant box. They are accompanied by many spare ear tips in different sizes, user manual, and one soft carrying bag. They may be small, but they are metal and they are quite strong. Senzer S10 have simple but attractive design and they are perfect for those who need small sleeping earbuds or earbuds for daily activities that don’t stick from their ears. The super-small speakers are covered with ear tips and if they were any smaller, sound quality would be compromised. 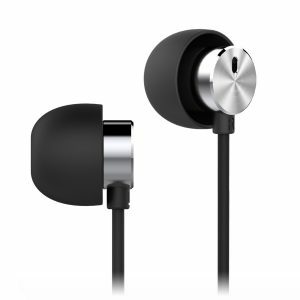 The earbuds come in black color with shiny silver housings. The Y-shaped audio cable is quite long; it has universal 3.5mm connector and control pad on the right side just below your mouth. There are volume controls and multifunctional button as well as small inline mic on the other side of the pad. The earbuds are extremely comfortable and light, so you shouldn’t have problems with them pressing your ears even if you’re a side sleeper. Make sure that you have placed them in the right way in your ear canal and that the ear tips fit and you are ready to go (or sleep). The tips are made from very pleasant silicone and they seal your ears nicely and isolate you from the background noise that annoys you. S10 have audio cable issue. It is braided, not too durable and the microphonic is present when the cable touches human body or clothes. Sadly, sound quality is not great. We understand that drivers are very small but the sound should definitely be clearer and more balanced. It is mudded, vocals aren’t very clear and the bass is too emphasized. When you look at the Otium wireless earbuds, the first thought that probably crosses your mind is that these earbuds can’t possibly be used for sleeping. Well, that is not true. Many customers have found them not only affordable but also very comfortable and durable. Besides that, earbuds like these can be used anytime at any place from buses, planes to gyms. The earbuds come in a rather simple box with cable clip, USB charging cord, two pairs of spare ear tips in different sizes), protective carrying case, user manual, and one-year warranty card. The design is familiar but still attractive and sporty. They come in black color and seem rather cozy. The earbuds are wireless, which is great as you won’t have to worry about long cable dangling around or wrapping around your neck. If you find the cable connecting the earpieces too long, you can always shorten it with the cable clip that comes in the package. The earpieces have ergonomic design, the speakers are a bit angled and the soft silicone ear tips and ear hooks provide extra stability in ears. All the controls are on the right earbud (power button, volume controls and charging port). The earbuds also have built-in mic, so you can always answer a call in case you are using the earbuds for workouts, commuting, etc. Otium earbuds weigh only 0.6 ounces. They are very light and pleasant for wearing. The stability in ears is the thing that makes them good for sleeping. The housings are made from fine plastic, the tips and hooks are made from soft flexible silicone. The earbuds are also quite durable and that proves their IPX7 rating. The cable is pleasant and nicely rubberized. It is also flat, which prevents it from tangling. The battery takes 1-2 hours to fully recharge and it can offer up to 8 hours of playback which is enough for nice couple of hours of sleep. They use Bluetooth 4.1 technology with good signal range so you can leave your phone on the bedside table. Besides that, these earbuds deliver decent sound for the price. They aren’t the best on the market, but they also have great noise isolating technology and good mic, and that makes them great choice for different activities. What we don’t like is the sound quality. We agree that you get very good product for the money, but we also think that earbuds are made for listening to audio content and they should do their job better. The sound is not terrible, but it should definitely be clearer. One more thing – these are probably the least comfortable earbuds on the list, so if you find them too bulky, we advise you to get a nice soft pillow as they become more comfortable with the proper pillow. As all other products on the market, headphones, and earbuds that we use for sleeping have their good and bad sides. It is definitely better to go to bed and fall asleep without any tools, but if we can’t, we have to try to use the devices that suit our needs best. If you need something extremely comfortable, you should choose sleeping headphones. Besides being very thin, they are often made from very soft materials and many of them are wrapped in soft elastic headband that keeps them in place no matter if you toss and turn whole night. If they have the headband, you can use them even during the day, not only during the night. You can use them to listen to music while doing house chores or working out outside your house. They won’t move even if you jog or run and the headband will be there to soak up the sweat from your forehead. As you were able to see from our two lists, some sleeping headphones are just a part of sleeping eye mask, which is made for all those people that have problems with noise as well as light. They have adjustable headbands (neckbands) and they are suitable for any head sizes. In addition, they are very thick and they provide more comfort. Besides providing more comfort and secure fit, sleeping headphones have been so improved that they are available in wireless versions as well. The offer is currently quite poor and sometimes unreasonably expensive, but we hope that the technology development will soon enable us to get quality wireless sleeping headphones at very affordable price. On the other hand, if you are earbud person, you will definitely be able to enjoy better sound quality. Nobody really can’t deny that earbuds offer better sound and better sound cancellation because they go inside our ear canal, sealing it tightly and reducing ambient noise to minimum. Also, earbuds have wide implementation in everyday life – you won’t be embarrassed if you walk into a bus with earbuds in your ears. All in all, one of the most important advantages of sleeping headphones/earbuds is the possibility to use them to listen to anything you want. You just plug them into your device (or pair them with it) and you can listen to anything from audiobooks, podcasts, music or anything else that helps you sleep. Other devices used for sleeping allow you to listen to several different sounds that become boring after a short period of time. Some of them prevent you from hearing any sound at all, which can be not only boring but also a bit frightening. Just like all the others headphones, those that you use for sleeping have some downsides. First of all, all kinds of headphones make it harder for skin to breath, which can lead to smaller problems like piling up of ear wax or even ear canal infections if you really don’t pay attention to the hygiene. If you wear headphones or earbuds while sleeping, that means you’re using them at least for 5 to 6 hours straight, which is long period of time, especially if you repeat the action every night. To avoid problems like these, you should try to give your ears a break and put aside your headphones from time to time. That way, your ears will be rested and clean and ready for the next night. Second of all, excessive headphone usage can lead to buzzing in your ears. That buzzing is a medical condition. It is called Tinnitus and it can cause more serious problems like hearing damage or even hearing loss. There is a way to prevent this from happening – you have to take care of the loudness and the time you spend with headphones on/in your ears. If you’re wearing headphones during the night, try not to wear them during the day (and vice versa) and try not to turn up the volume to the maximum as your ears won’t like that. Last of all, audio cables can cause some problems and as you can see from our lists of the best headphones and earbuds for sleeping, majority of them is wired. The cables limit your movement and we can’t deny it. If you toss and turn in your bed, it is likely that you will drag your phone or player on the floor at some point. Also, the cable could wrap around your neck during sleep. It won’t kill you, but it can be terrible experience to wake up wrapped in a cable. As we have mentioned previously, headphones aren’t the only way to fall asleep faster and there are many people that don’t like using them. If so, you can always buy different products that work in a different manner. Ear plugs are probably the oldest way to shut out the noisy neighbors. It is also highly effective. You can find different types of plugs that are made from different materials, even custom ones. The best plugs are probably foam plugs – they are quite soft, they adjust nicely to your ears, they snug nicely in the ear canal and isolate the majority of external noise. The bad thing is they aren’t fun. They leave you alone with your thoughts and heartbeats and some people consider that boring if not even frightening. Sleeping pillows are the innovation on the market. They have small built-in speakers. They also have cords that you can plug into your device (phone or player) and listen to any audio content you want. The pillow is inserted below or on the regular pillow inside your pillowcase. The speakers aren’t too loud, but your partner might still be annoyed by the noise if he/she can’t stand any sound during sleep. White noise generators are devices that are used to help people fall asleep in case they hate silence. They can also be used to put babies asleep. They can deliver different kinds of sounds like jungle sounds, waterfall, birds singing, etc. However, if your partner doesn’t like hearing those kinds of noises while sleeping, this won’t be the right machine for you. In the article above, we have introduced you to the different devices you can use to fall asleep easier and faster. There are many choices and we think that headphones and earbuds can be the most helpful. That’s the reason why we have reviewed 12 best noise canceling headphones and earbuds for sleeping in details. In the end, the choice is yours. There are plenty of options and you can make a choice based on your preferences and needs. These are pretty good earphones and they are comfier than many other earphones on the market but they are not a great choice for side sleepers. Unfortunately, there are no earbuds/earphones in the world that are comfortable enough for side sleepers. I bought the Cozy Phones headphones primarily to listen to audiobooks before I fall asleep. So far they do the job. I’m a side sleeper and they are quite comfortable. The sound quality is good for the purpose. When compared to the earbuds I have used before these are way better. I hope they will last for much longer than the earbuds I have used before. Thanks for sharing your impressions about Cozy Phones. 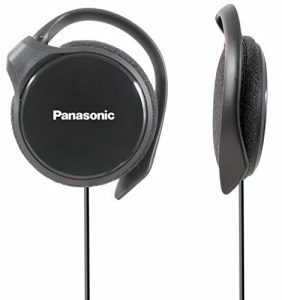 If you are an insomniac like me, you’ll love these headphones, the Panasonic Slim Clip On! The ear buds I have used before were too uncomfortable, especially when I sleep on the side. Luckily I found these headphones and they are comfortable even when my ear is on the pillow. The sound is not extraordinary, but if you consider the purpose of these headphones it’s very good. I’d definitely recommend them! I’m glad I have read your article. Can you tell me whether the Cozyphones sleep headphones can work via Bluetooth? I really hate it when I have to untangle the cord. You’ll be happy to know that it’s not only you. We all hate cables and we completely understand your frustration. Unfortunately, CozyPhones are wired and have a long cable. If you are looking for Bluetooth headphones for sleeping, you could check out the headphones called Kokoon. From what we’ve heard, they are specifically designed for sleeping and they are very comfortable. There’s one problem, though. They are priced around $300. Thank you for sharing this beautiful article. I looking this kind of informative post for my next earbuds. I’m using Bose Noise Cancelling Headphones and I want to buy TaoTronics Noise Cancelling Earphones. You use this before? 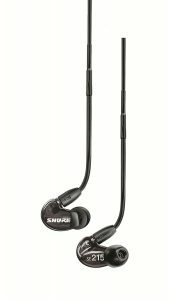 Can help to me to say how is the sound quality of this earbuds? If you are on a budget, TaoTronics ANC earphones are one of the best options. Still, there’s a great difference between Bose QC20 (we are assuming that you are using BOSE ANC earbuds) and TT EP002 when it comes to performance, especially when it comes to noise canceling. QC20 earphones are incomparably better at isolating ambient noise. Also, QC20 earphones are more comfortable and provide better seal. When it comes to sound quality, it’s not that easy to say if you are going to like TT EP002, but we are going try to explain and compare the sound signatures of QC20 and TT EP002. QC20 earphones are quite bassy. The bass response is elevated (some people would even say overemphasized). This bass emphasis transfers to low mids, while the rest of mids is slightly recessed and kind of muddy. Treble reproduction is pretty inconsistent. Combine all these things together and you will get a bass-heavy sound signature. On the other hand, TT EP002 earphones deliver more balanced sound. Bass frequencies are still emphasized but not to the point of being bassy or boomy. The mids are clearer and more present, while the high-end reproduction is more balanced and more consistent. In a way, they are also bass-oriented earphones but the bass doesn’t affect the midrange and vocals. To conclude, TT EP002 earphones deliver great sound for the price. It’s actually better than you would expect. If you are into balanced sound with a slight bass emphasis, you are going to like them, maybe even more than your Bose earphones. BUT, if ANC feature is really important to you, you should definitely keep using Bose QC earphones.